This is a compilation of quotes and actions of people who are widely recognised in the western society. 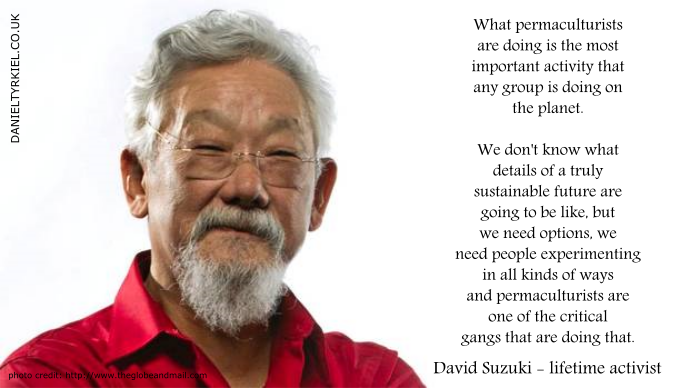 The aim is to move the needle of the society’s knowledge about permaculture towards mainstream. Please share the images if you wish to do so. 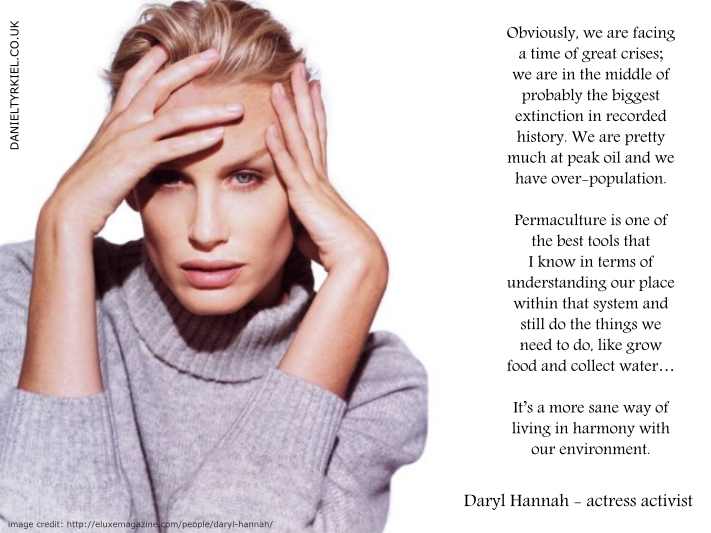 What permaculturists are doing is the most important activity that any group is doing on the planet. We don’t know what details of a truly sustainable future are going to be like, but we need options, we need people experimenting in all kinds of ways and permaculturists are one of the critical gangs that are doing that. Obviously, we are facing a time of great crises; we are in the middle of probably the biggest extinction in recorded history. We are pretty much at peak oil and we have over-population. 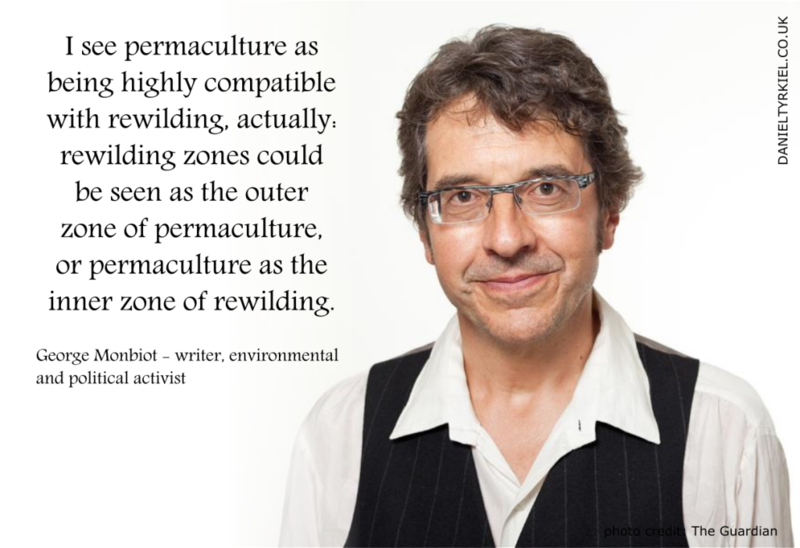 Permaculture is one of the best tools that I know in terms of understanding our place within that system and still do the things we need to do, like grow food and collect water… It’s a more sane way of living in harmony with our environment. 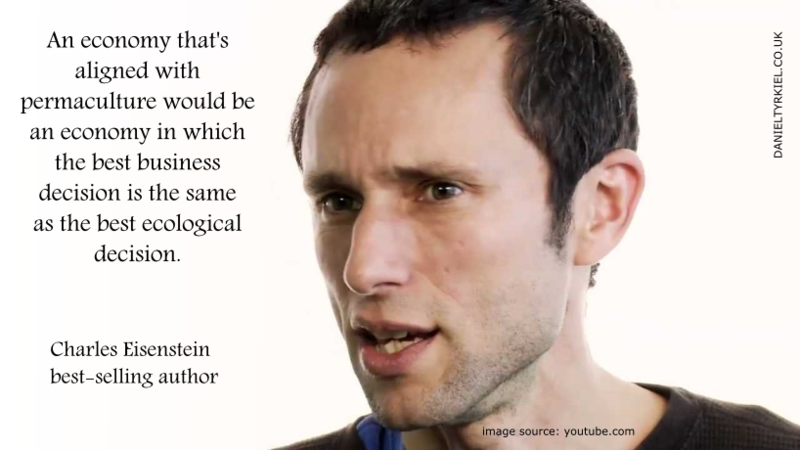 An economy that’s aligned with permaculture would be an economy in which the best business decision is the same as the best ecological decision. 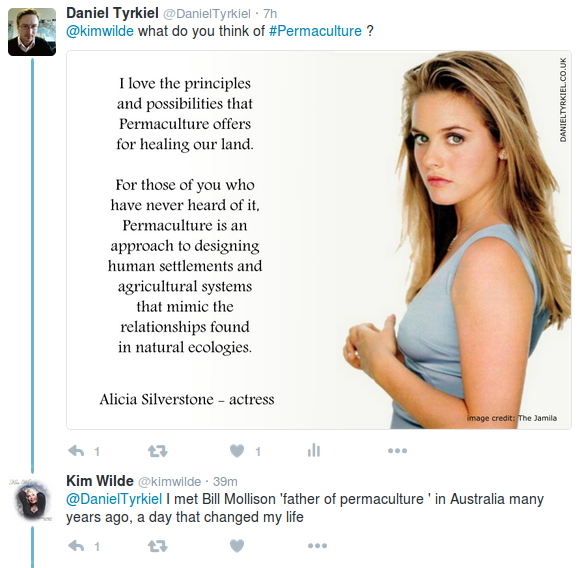 For instance, what made a lasting impact on me was a visit to the Permaculture Institute in the Amazon. In little more than a decade, this remarkable project has integrated agroforestry, aquaculture, and multiple animal systems within a restored landscape that had been utterly destroyed by deforestation. 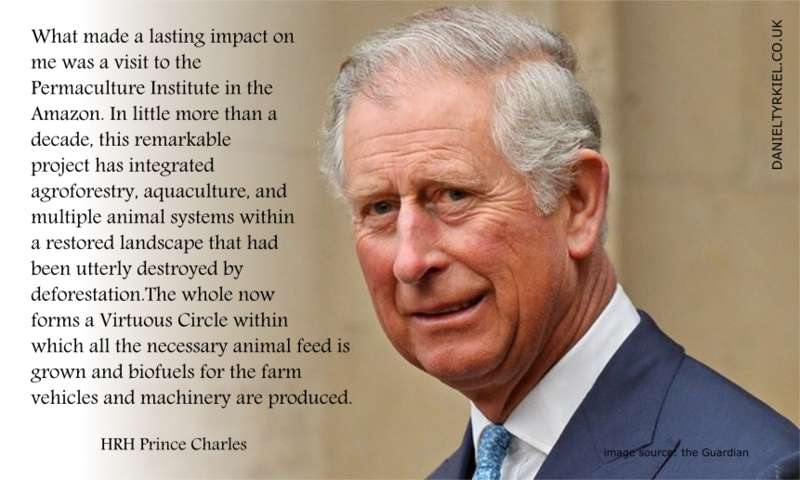 The whole now forms a Virtuous Circle within which all the necessary animal feed is grown and biofuels for the farm vehicles and machinery are produced. What is so deeply impressive is the practical way in which the Institute demonstrates how genuine sustainability can be achieved by applying the principles it has developed. Mark Garrett and Cecilia Macaulay have designed an organic produce garden for the Necker Island. Richard has also attended permaculture training provided by Mark.